Zane Benefits, the leader in individual health insurance reimbursement for small businesses, announced today the publication of a new eBook, "10 Budget Pitfalls of Small Business Health Insurance." The eBook helps small businesses avoid costly mistakes and take control of their health insurance budget. According to Zane Benefits, health benefits are an important part of a small business's recruiting and retention strategy. And yet, budgeting for health insurance is a major challenge. With the wrong approach, health insurance is unstable, expensive, and restrictive. However, according to Zane Benefits' new eBook, small businesses do not have to leave their health insurance budget to luck. Small businesses can take control of their healthcare budget by avoiding common budgeting mistakes. 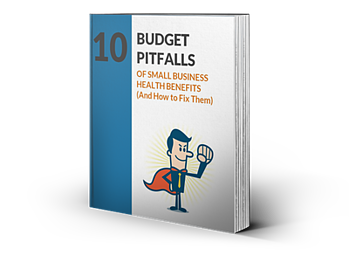 The eBook is written for small business owners, CEOs, and HR managers and covers ten common budget pitfalls of small business health insurance -- and how to fix them.